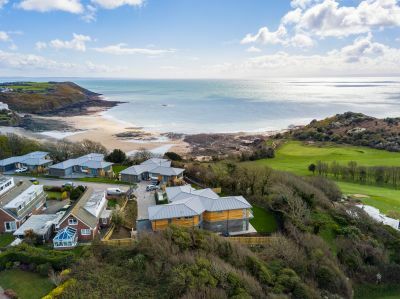 Now ready for occupation, this truly outstanding property located on the edge of Langland Golf Course, offers the ultimate in luxury, contemporary living, fulfilling every desire of anyone seeking a home of this calibre. 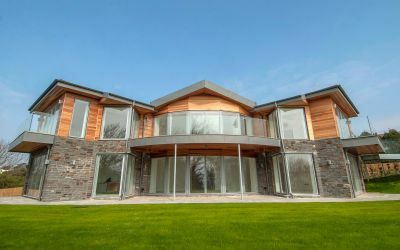 Designed by locally renowned Architect, Huw Griffiths, this prestigious property meets the highest modern specifications including the latest CAT 6 cabling throughout. With versatile accommodation, the suggested layout allows for a sea-facing lounge on each level. Entering the property on the ground floor, there is an impressive entrance hall with a feature 'curved' staircase. 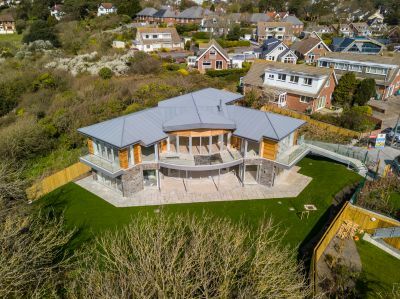 Doors lead to the sea-facing lounge along with a bedroom suite which enjoys 'floor-to-ceiling' glass incorporating French doors which open on to the garden. 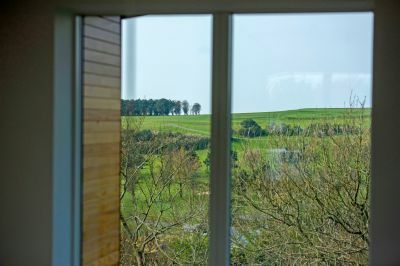 A second bedroom is also on this level, which is of similar proportions, and again boasts floor-to-ceiling glass with French doors, en-suite facilities, walk-in robes and plenty of additional storage. Both bedrooms and lounge access the front terrace, which in turn, leads on to the garden. To the rear of the hallway are ancillary rooms and entrance door to the integral garage. 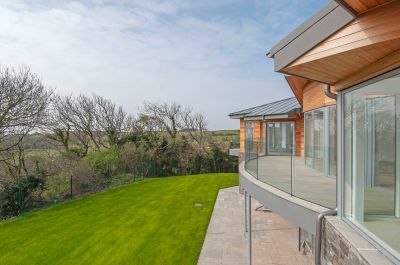 Proceeding up the feature staircase, a further hallway which enjoys a feature floor-to-ceiling picture window offering a spectacular view to the cliff-head features double doors leading to the sea-facing living area which is prises a very large, light and airy, open space where you will find the luxury kitchen with the dining area being ideally situated to enjoy the views offered via the 'floor-to ceiling' glass, which also incorporates French doors allowing access to the integral balcony. This area is also home to the front 'central' lounge, again with access to a spacious balcony. 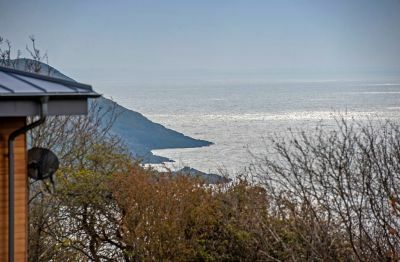 A third front facing bedroom suite with balcony access is also located on this level which has the benefit of unrivalled views over Langland Golf Course, as is a luxury family bathroom and further large double bedroom with en-suite facilities. 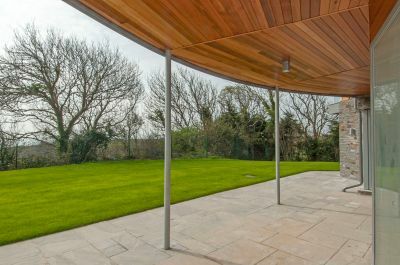 The property also benefits from fully landscaped gardens to the front and rear as well as numerous areas perfect for outdoor entertaining. 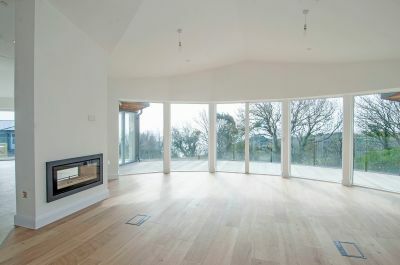 Access to the property is gained via both the ground and first floor levels.